Georgie Beauty, a company that excels in some of the finest faux lashes you can flutter also offers a beautiful Creme Blush. Georgie Beauty Le Jardin Creme Blush is available in four gentle, flattering shades. I received Dalia, a soft, candy pink with a touch of silvery glow; a perfect fair skin enhancer. Georgie Beauty Le Jardin Creme Blush has a creamy, soft texture that applies and blends into the skin easily without being patchy or blending away. 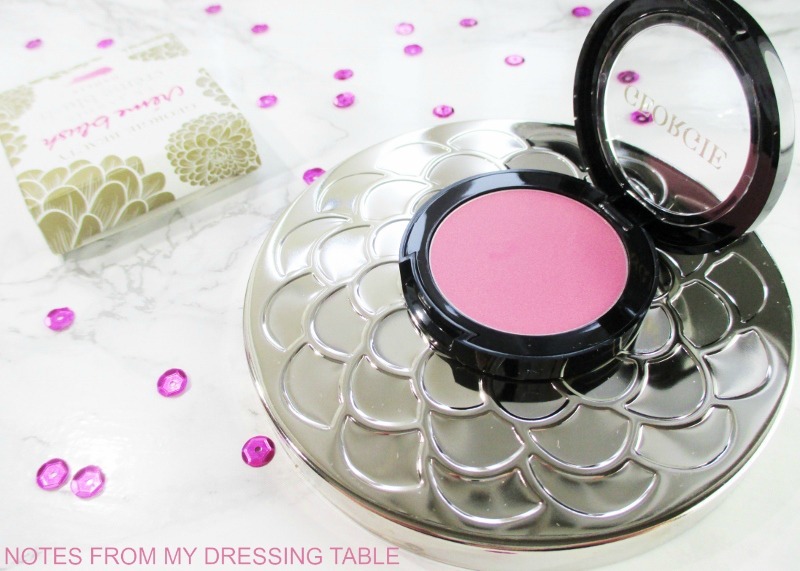 I have dry skin, so this blush lasts on my face for hours and hours. I like to apply this creme blush with a soft dual fibre brush over a tinted moisturizer for a naturally fresh, polished makeup look on the fly. 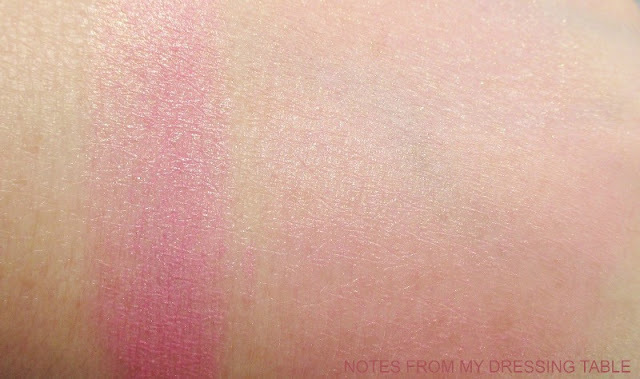 Georgie Beauty Le Jardin Creme Blush in Dahlia, swatched here in a heavier swipe and blended out. If you are craving a pot of Georgie Beauty Le Jardin Creme Blush it is available on Amazon. Georgie Beauty is Eco Luxe beauty that is cruelty free and vegan. 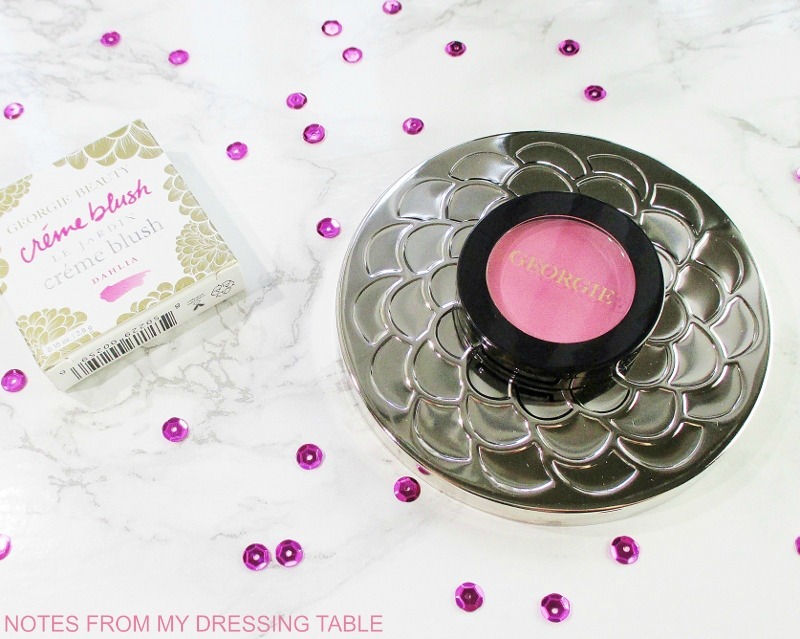 Have you tried this blush? What do you think of it?